Marine invasive alien species Watch Alert! On 2 March, storm Emma caused significant damage to Holyhead Marina in North Wales. Clean-up operations followed and are on-going. 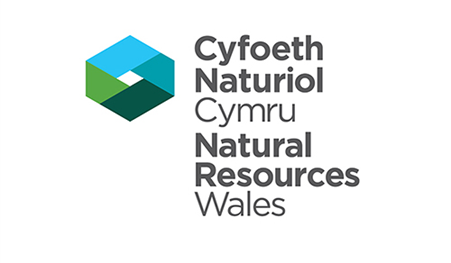 As part of clean-up operations, actions are being taken to reduce any potential environmental impacts that may occur as a result of this incident. 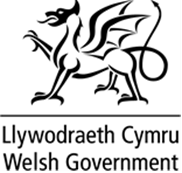 This advice note has been prepared to advise interested parties as, despite efforts to contain debris from the damaged marina, some debris has drifted out of the harbour area into the wider marine environment. 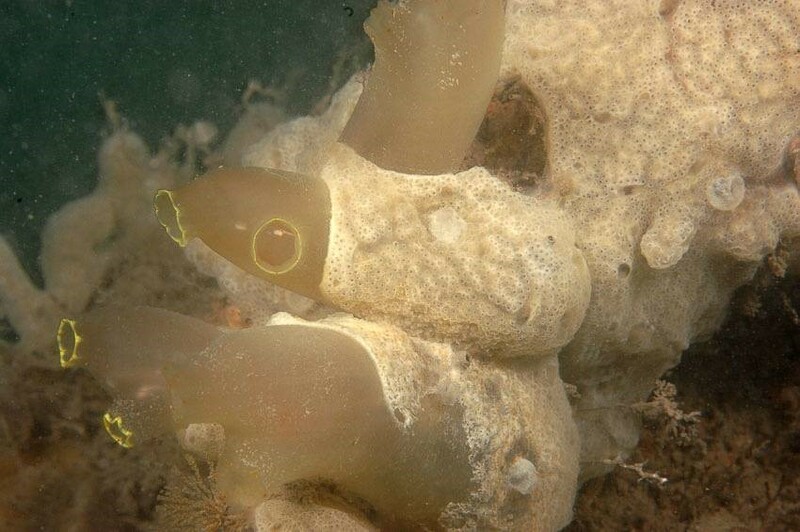 A consequence of this means there is potential for the carpet sea-squirt Didemnum vexillum (D. vex), a marine invasive non-native species, to spread to other areas. However, the risk of spread may be reduced due to the current sea temperature, which at this time of year is not thought to be favourable for D. vex to reproduce.This advice note has been prepared to advise interested parties as, despite efforts to contain debris from the damaged marina, some debris has drifted out of the harbour area into the wider marine environment. Prior to storm Emma, D. vex was being contained in the marina after being discovered living on the submerged artificial structures, commonly found on the floating pontoons, ropes and chains. (Fig 1-2). The resin surface of the floating pontoons provided a suitable area for D. vex to live. D. vex (click here for factsheet) is considered to be an invasive species because it has the potential to negatively impact fisheries, aquaculture and the conservation of native marine habitats. Areas of potential spread Evidence suggests that debris has the potential to spread quite far from Holyhead. 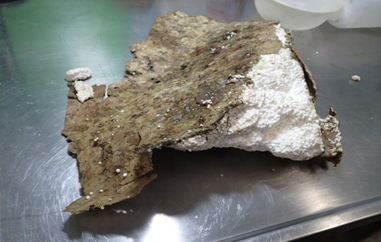 Remains of a floating pontoon with resin coating has been recorded approx. 37km away from the marina (Fig. 3). 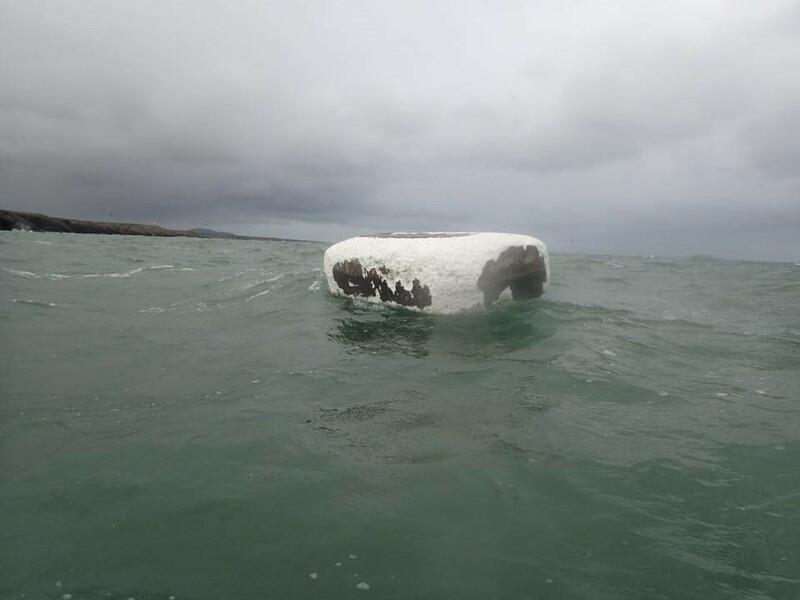 There have also been reports of polystyrene (believed to be from Holyhead pontoons) washing up in Wicklow and Dublin in Ireland. There have been no further reports of debris at other locations at this time. 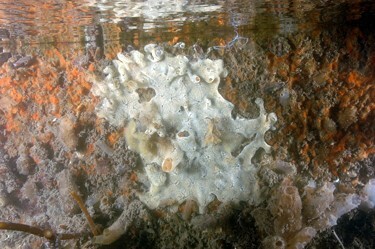 If you come across any large pieces of polystyrene on the eastern seaboard of Ireland, please report it through the Biodiversity Data Capture app or online: https://records.biodiversityireland.ie/record/invasives. When reporting sightings use the species name Didemnum vexillum and just note in the additional information section you are reporting the chunks of polystyrene. Please attach photos. Where it is possible and safe to do so, we suggest any debris found, an example is provided at figure 4-5 below, is moved above the high tide line to prevent it from returning to the sea and help remove the risk of D .vex spreading. We suggest also that any locations where fouled debris has been collected from be revisited later in the year to check for the presence of D .vex. 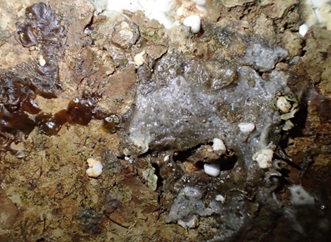 Fig 4-5 Specimens in the fouling community appeared similar to D. vex but had dried out too much to confidently identify.